AFC Bournemouth and Everton meet at Vitality Stadium, in a match for the 21th round of the Premier League. 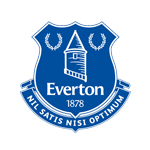 Everton got a home win by (2‑1), in the last league head‑to‑head, played in 23‑09‑2017. At this stadium, the head‑to‑head history indicates total balance between these two teams, since there is a record of 1 draw and 1 win for each team in the last 3 matches. However, the last time these teams met at this stadium was on 24‑09‑2016, in a match for the Premier League, AFC Bournemouth won by (1‑0). The only goal of the match was scored by J. Stanislas (23' ). In this match the home advantage may play an important role, as both teams present significant differences between home and away performances. The home team is currently in the 18th position of the league, with 17 points won, after 4 wins, 5 draws and 11 losses. In the penultimate match, they lost in an away match against Manchester City, by (4‑0). In the last match, they tied in a home match against West Ham United, by (3‑3). This is a team that, oddly enough, has had better results in away matches than at home, since in the last 30 matches they register 6 wins, 2 draws and 7 losses in away matches; against 4 wins, 5 draws and 6 losses at their stadium. 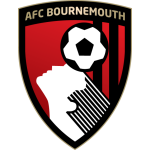 In the last 10 home league matches AFC Bournemouth has a record of 2 wins, 3 draws and 5 losses, so they have won 9 points out of 30 possible. In their home league matches the most frequent result at half‑time was the 0‑0 (4 out of 10 matches). They haven't been very strong defensively, since they have suffered goals in 7 of the last 10 matches for this competition. They have conceded the first goal in 11 of their 20 matches for this competition, and have only turned the score around in 1. Bournemouth is going through a very complicated moment in the Premier League, coming from eight rounds without winning, having accumulated four defeats in that period. In its last clash, the team played a very busy game against West Ham, having finished more than double the opponent's time but was not very efficient in defensive terms, having to look for the draw already in the extra time of the final stage. As was evident in this last round, with the three goals conceded at home, the defensive system has been largely responsible for the disastrous campaign of the team, so much so that it is now among the six most leaked of the competition. Playing at home, the team owns the third worst campaign, and in this condition has the third worst defense. It is likely that the coach will keep the team in 4-4-1-1, with Francis standing out on the right side. The away team is currently in the 9th position of the league, with 27 points won, after 7 wins, 6 draws and 7 losses. In the penultimate match, they tied in a home match against Chelsea, by (0‑0). In the last match, they tied in an away match against West Bromwich Albion, by (0‑0). This is a team that usually makes good use of the home advantage, stronger with the help of its supporters, since in the last 30 matches they register 2 wins, 6 draws and 7 losses in away matches, with 12 goals scored and 26 conceded; against 8 wins, 2 draws and 5 losses at their stadium, with 26 goals scored and 22 conceded. In the last 10 away league matches Everton has a record of 1 win, 5 draws and 4 losses, so they have won 8 points out of 30 possible. Their offense has scored consistently, as they have scored goals in 8 of the last 10 matches for this competition. In their away matches there is a tendency for few goals, since 7 of the last 10 matches for this competition have ended with Under 2,5 goals. In 20 matches for this competition, they have conceded the first goal 12 times and have only turned the score around in 3. In the last 10 away matches for this competition there are 2 periods that stand out: they have scored 3 of their 7 goals between minutes (31'‑45'); they have conceded 6 of their 17 goals between minutes (76'‑90'). Everton has the chance to add the eighth straight game without losing in the English Championship, but in order to win, it will have to show a different offensive performance than the last two rounds in which it did not score a goal. In its last clash, the team missed many passes and finished almost three times less than the opponent, only registering a draw against West Bromwich. Although it has conceded only one goal in the last four matches, the team still has one of the nine worst defenses of the competition. Its attack is the third that finishes less, which may be a reflection of the low average of ball possession, caused by the imprecision in the exchange of passes. The coach should organize the team in the 4-2-3-1 for this bout, keeping Martina as a reference on the left side. This clash should not be one of the most unbalanced of this round of the English Championship, given that it puts forward two clubs that are not going through great moments. However, Everton's situation is more comfortable as the team appears even in the first half of the table, with ten points more than Bournemouth, which is part of the relegation zone. The home team has been very ineffective at the end, and its defense has been suffering from long-distance kicks. Everton has been struggling to keep ball possession, while its defense excels in tackles, but fails in the fight to more skillful players and has also committed a lot of dangerous fouls. However, Everton seems to be able to win this bout, but as it plays away from home, the draw is also a good betting option.